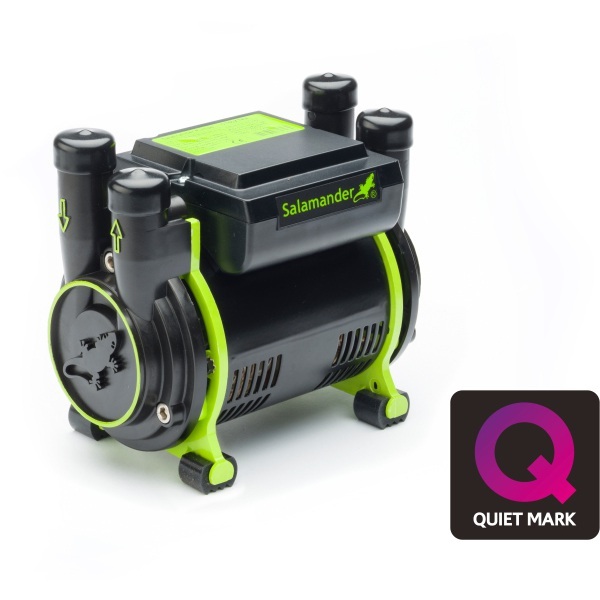 With high efficiency and impressively low running noise, the Salamander CT50 XTRA is an affordable and hard-working shower pump that caters to your hot and cold water needs, be that individually or simultaneously. The CT XTRA twin shower pump range supplies water via a positive head gravity fed installation and is suitable for use with both conventional showers and thermostatic shower mixer valves. Producing just 52.5 dBA, the CT XTRA 50 is the quietest 1.5 bar regenerative twin plastic shower pump available in the UK. What’s more, the continuously rated motor acts to decrease noise level, as well as extend the life and efficiency of the pump. Combining high quality seals with robust metal replacement plastic, this pump is designed with reliability and durability in mind, whilst the compact size allows for fit into tight spaces.